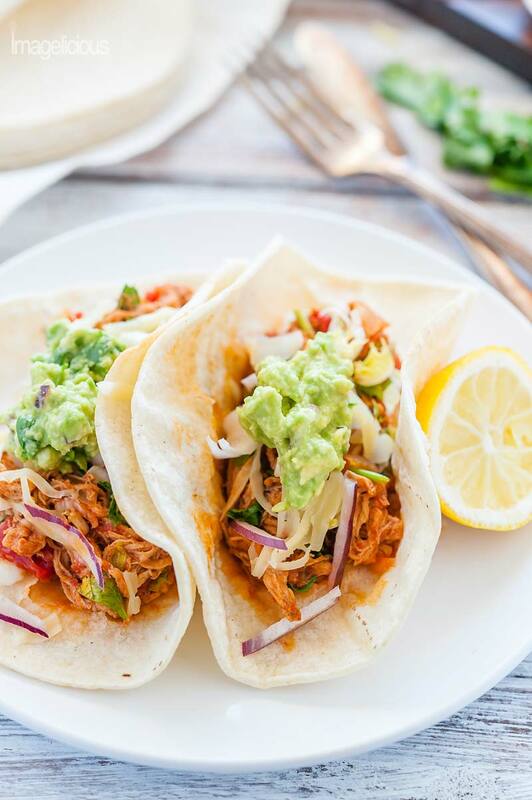 Pulled Pork Tacos are a great way to use up some leftover pulled pork. It’s a fun meal that everyone will love. Add cheese, guacamole, and cilantro for a delicious medley of flavours. 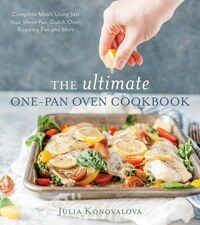 Great for picnics, family dinners, or Taco Tuesdays. 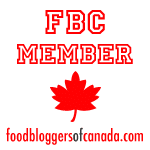 I love making Slow Cooker Beer Pulled Pork because it’s really easy and quick. Well, relatively quick. The recipe only takes a few minutes to assemble and then the slow cooker does all the work for many hours. It makes a lot of pulled pork! And after eating it on its own, in Jalapeño Rolls Sandwiches and in a Pulled Pork and Peppers Pie I usually have some more pulled pork left over. So, Pulled Pork Tacos to the rescue! I love making tacos or burritos or fajitas when I have some leftover meat that is not enough for a proper meal. 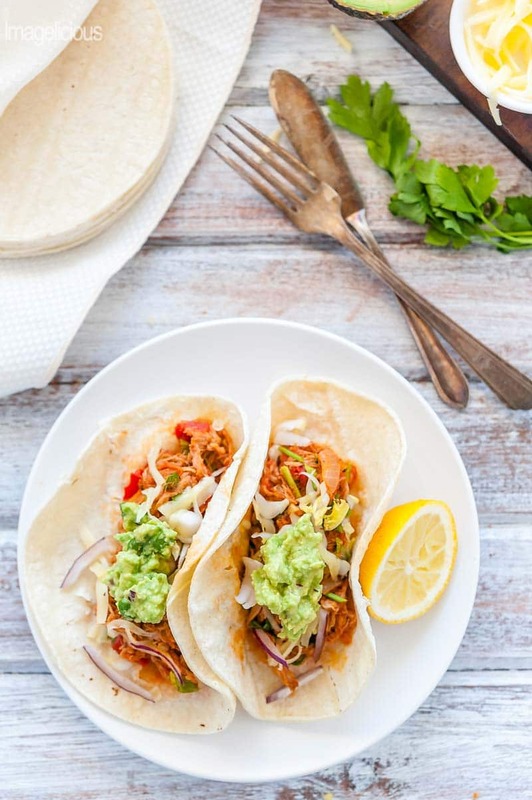 Adding fun fixings such as cheese, guacamole, onion, and cilantro or parsley stretches the meat and wrapping it in tortillas, corn or flour, makes eating almost everything so much more fun! 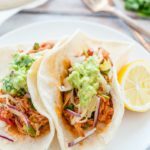 If you have leftover pulled pork then making Pulled Pork Tacos is actually really easy and pretty fast. Sauté some onion, garlic with leftover pulled pork, I use my Slow Cooker Beer Pulled Pork, then mix in canned tomatoes and cook until the mixture thickens. If you aren’t a fan of canned tomatoes and have a little bit extra time then try this homemade taco sauce recipe from My Wife Can Cook. Once the mixture cooked and reduced a little bit I served it with warmed corn or flour tortillas tortillas with your favourite toppings. At a minimum I’d like to have some shredded cheese, red onion, lemon juice and guacamole on Pulled Pork Tacos. But you can use any toppings you like. Fresh salsa would be perfect. Cool and zesty coleslaw would pair great with pulled pork. If you don’t have guacamole made then a few slices of avocado would go great with the tacos. I like sour cream with my tacos or even Greek yogurt for a healthier alternative. You could even add a little bit of cooked rice and fried beans to turn these tacos into burritos. Possibilities are endless! What are your favourite taco toppings? Heat vegetable oil in a medium pan on medium heat. Saute both onion and garlic in oil for 5-7 minutes until softened and just starting to turn colour. Add chopped parsley, pulled pork, and a can of diced tomatoes. Cook for another 5-7 minutes until the mixture thickens. 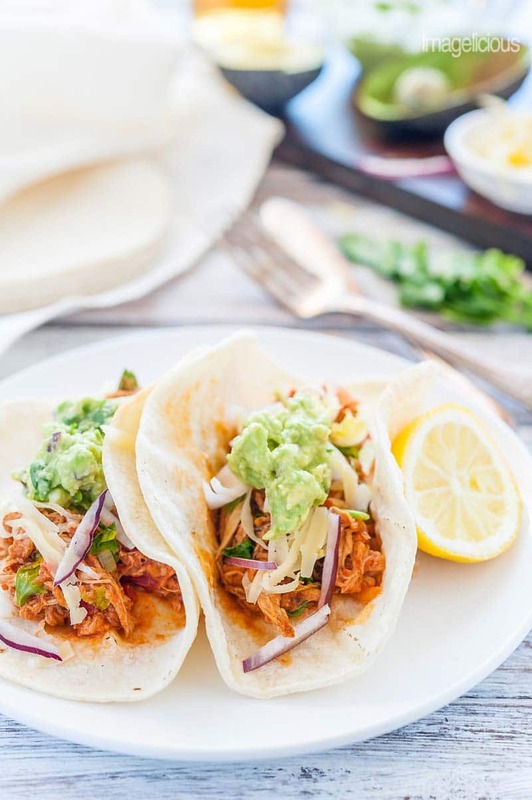 Serve with corn or flour tortillas and your favourite taco toppings. These tacos are my favourite ones! I could eat them all day long, Julia!